« The Daring Cooks’ February 2012 Challenge – Flipping Frying Patties! The Daring Bakers’ February 2012 Challenge: Quick! Gimme a Flavour! The Daring Bakers’ February 2012 host was – Lis! 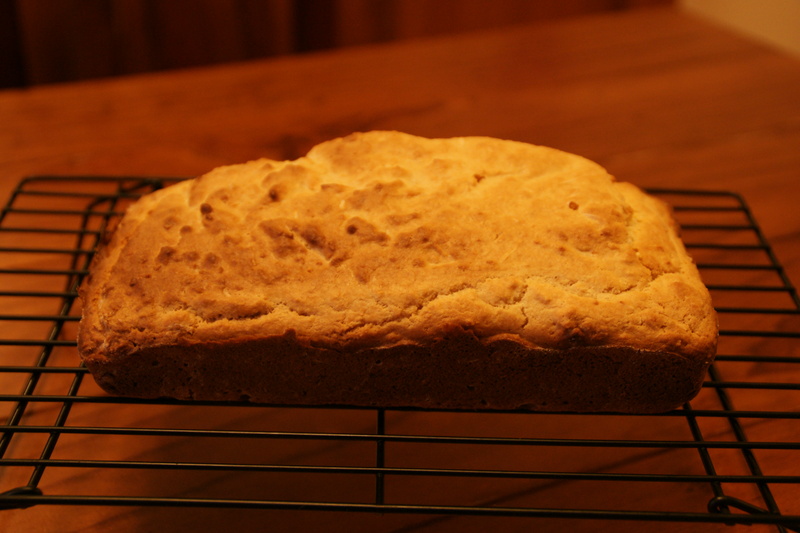 Lisa stepped in last minute and challenged us to create a quick bread we could call our own. 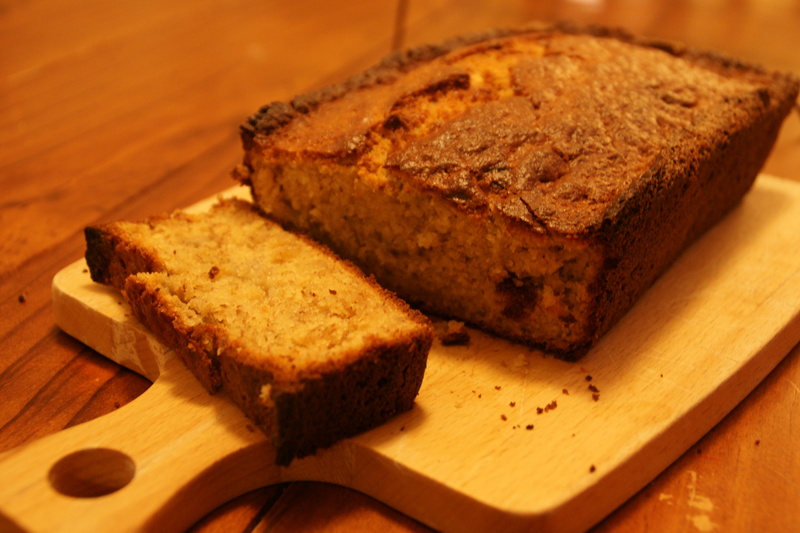 She supplied us with a base recipe and shared some recipes she loves from various websites and encouraged us to build upon them and create new flavour profiles. Baking soda (an alkaline salt, sodium bicarbonate) is used when the liquid is acidic, such as buttermilk, honey, molasses, tomato sauce etc. Usage ½ to 1 teaspoon per cup of acidic liquid. 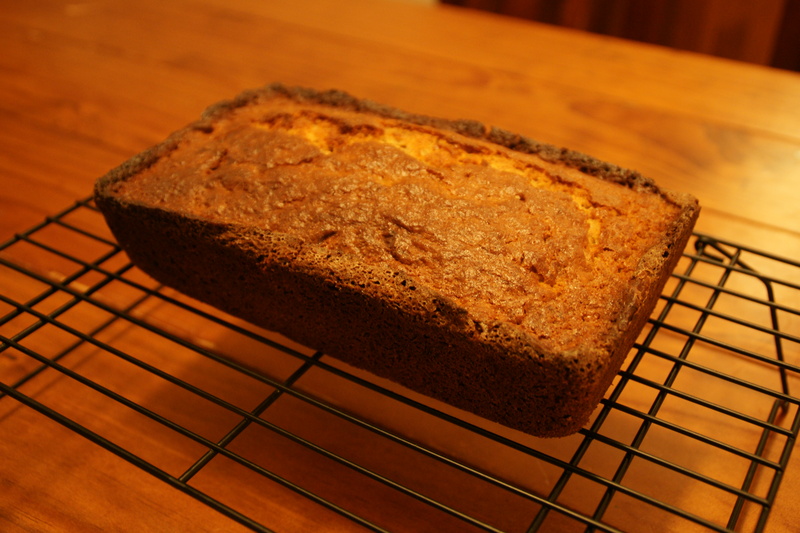 I was a bit nonplussed about this challenge until I realised that what Americans call quick bread is what I call my standard, easy, pretty healthy everyday cakes. Hooray! What a perfect challenge! The husband thought it was fantastic! I left the walnuts out but otherwise did not modify the recipe. This was a big hit with the family. Not my favourite due to the level of sweetness, but I appreciated the texture. 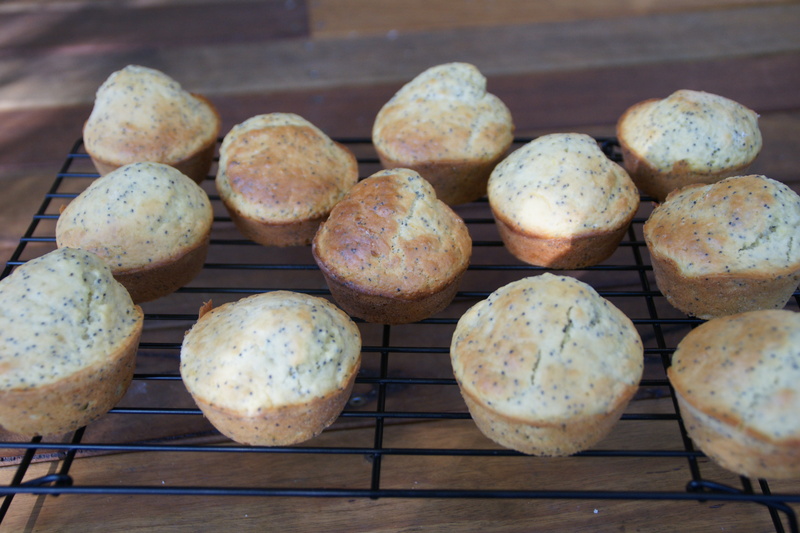 Then I made orange and poppyseed muffins, which were particularly popular with the small people. Unfortunately I can’t remember now which recipe I used – whoops! I’m trying to cut down on sugar and also experimenting with coconut flour, so I was delighted to find a recipe that used coconut flour and seemed adaptable to being sugar free. 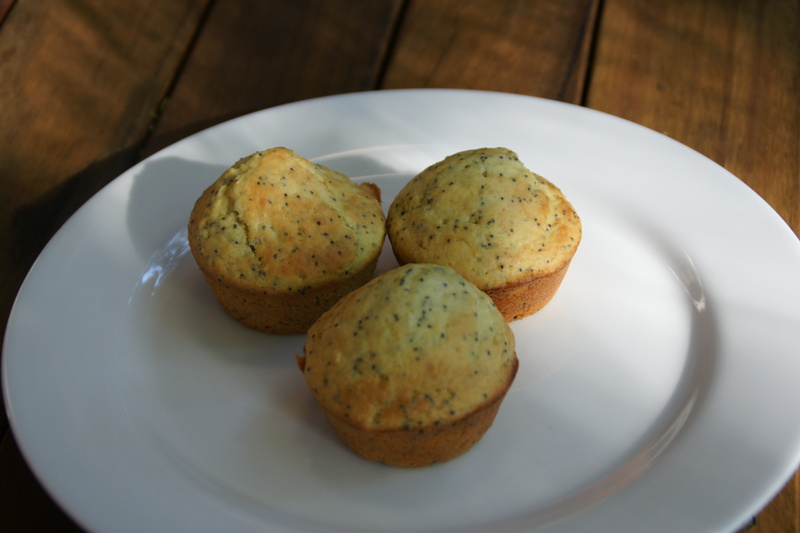 I found the recipe here – Bites and Bliss – how good do those photos look?! I was a bit worried that switching from US to Australian cup measurements would cause problems, but it seemed to work out fine. I will definitely be making this one again. 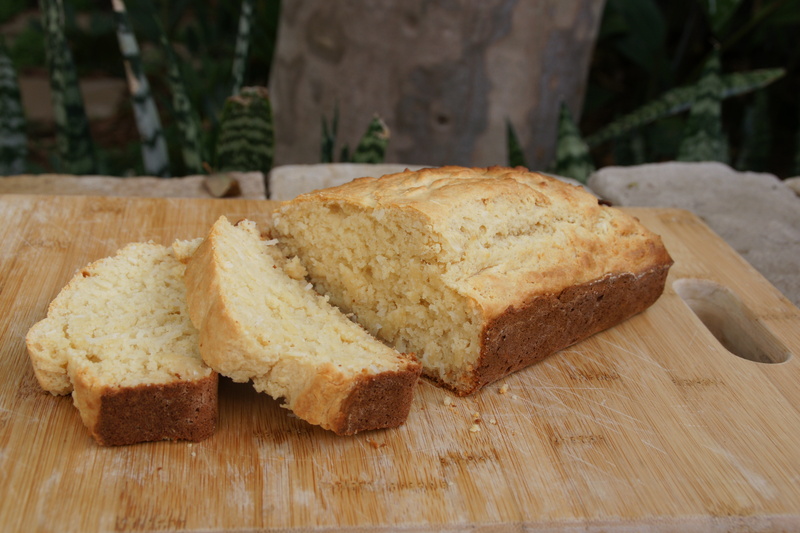 It was delicious – moist, mostly healthy and the perfect level of sweetness (for me – husband would have liked me to follow the original recipe!). After that I got a bit experimental. So experimental, in fact, that I am not going to include a photo of the bread, which rose spectacularly before falling into a dense, pumpkinny heap. Good to eat, bad to photograph. You’ll have to take my word for it! Overall, a good, consolidating challenge.